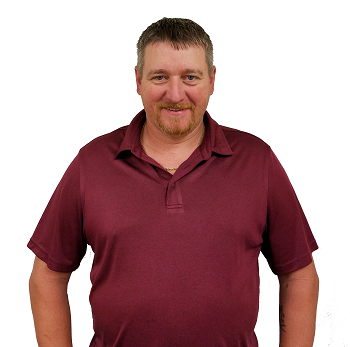 Lee has worn many hats since joining the GT Southwest Hose team over ten years ago. The problem-solving experience and his mechanical experience enable him to deliver creative and solutions to customers. Lee loves the opportunities he’s given to visit different plants and experience how different industries operate because this provides him invaluable knowledge that helps him do his job better. In any given week he could be at an oil refinery, food processing facility, shingle manufacturing, or glue production plant. He enjoys seeing how things are built so he can better design custom metal hose assemblies for those industries and customers. This experience helped him create a money saving solution for a customer that had a heavy loading vessel that caused expensive failures year after year due to the hose configuration being pulled and stressed because of the heavy load. Lee successfully designed and fabricated a custom reducing adapter to hold the 250lb weight of the loading vessel, reducing hose assembly tension, minimizing plant costs, and increasing safety standards for the plant employees. That same passion also applies to Lee’s hobbies. You can catch him at many different quarter mile dirt track races across Texas and Louisiana or umpiring baseball games all the way from t-ball to high school level. Call Lee for Your Custom Solution. Contact Lee for Your Custom Solution.